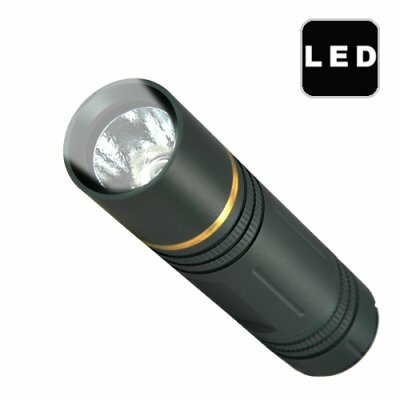 Successfully Added FlashMax G180 - CREE LED Pocket Flashlight (100 mm) to your Shopping Cart. The CVNY-G180 is perfect for campers, handymen, janitors, home use, business use, keeping in car glove compartments, gifting, and especially reselling online. Better than flashlight torches many times their price, this incredible tool with Chinavasion's famous 12 month warranty and is the perfect resale item because of its high resale margin potential. FlashMax CREE LED flashlights! Add them to your online catalog and watch your sales skyrocket! Order yours today and we'll ship it out tomorrow! Can be powered with standard AA batteries or better yet rechargeable NI-MH AA batteries.